Sammy Roth of LA Times digs deeper than others into the fallout from PG&E’s wildfire-induced bankrupcy. The article published in The Seattle Times is PG&E bankruptcy could undermine utilities’ efforts against climate change. Excerpts below with my bolds. Solar and wind developers depend on creditworthy utilities to buy electricity from their projects under long-term contracts, but that calculus changes in a world where a 30-year purchase agreement doesn’t guarantee 30 years of payments. The Golden State has dramatically reduced planet-warming emissions from the electricity sector, largely by requiring utilities to increase their use of solar and wind power and fund energy-efficiency upgrades for homes and businesses. Lawmakers recently set a target of 100 percent climate-friendly electricity by 2045. But those government mandates have depended on Pacific Gas & Electric and other utilities being able to invest tens of billions of dollars in clean-energy technologies. The massive Topaz solar farm in California’s San Luis Obispo County, an electricity supplier to PG&E owned by Warren Buffett’s Berkshire Hathaway Energy, also saw its credit rating downgraded to junk status this month, amid fears the San Francisco-based utility won’t be able to pay its bills in full. In the short term, PG&E might stop signing renewable-energy contracts, although contracting had already slowed in the last few years as customers departed in droves for newly established local energy providers run by city and county governments. In the long term, renewable-energy developers and their lenders may hesitate to do business with PG&E — and, potentially, with other California utilities that could also face significant future wildfire costs. Renewable-energy firms were alarmed by the news of PG&E’s impending bankruptcy filing, and it’s not hard to understand why. Solar and wind developers depend on stable, creditworthy utilities to buy electricity from their projects under long-term contracts known as power-purchase agreements. They’re able to get low-cost loans to build their projects because lenders see little to no risk of a utility defaulting on those contracts. But that calculus changes in a world where a 30-year power-purchase agreement doesn’t guarantee 30 years of payments at the agreed-upon price, said Ben Serrurier, a San Francisco-based policy manager for solar developer Cypress Creek Renewables. There’s concern in the industry that a bankruptcy court judge could order PG&E to reduce its payments to solar- and wind-project owners to help the company pay off other debts. It’s not just clean-energy investments that are at risk. In another cruel bit of irony, PG&E’s bankruptcy filing could also make it more difficult for California utilities to raise the capital needed to harden their infrastructure against wildfire, said Travis Kavulla, a former president of the National Association of Regulatory Utility Commissioners who now serves as director of energy policy at the R Street Institute, a center-right think tank. PG&E has lurched from crisis to crisis since 2010, when one of the company’s gas pipelines exploded in a residential neighborhood in San Bruno, killing eight people. The company was ultimately fined $1.6 billion by the state regulators and $3 million by a federal judge. Last month, the California Public Utilities Commission accused PG&E of continuing to commit pipeline-safety violations in the years after the gas pipeline explosion. Some critics have called for lawmakers to break up the massive company, which serves 16 million Californians, and replace it with smaller, government-run electric utilities. But it’s not clear how feasible that would be, or whether it would accomplish anything more than transferring PG&E’s huge liabilities to local governments.Renewable-energy developers, meanwhile, see stabilizing PG&E as an urgent priority. 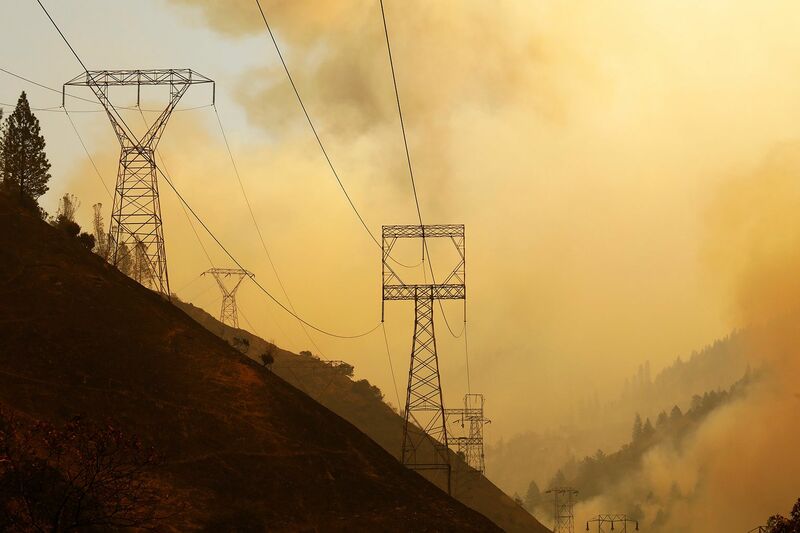 After a series of fires devastated Northern California in October 2017, clean-energy trade groups began urging state lawmakers to help PG&E and other utilities cope with the liability that can ensue if their infrastructure sparks a fire. He said the state’s three big investor-owned utilities — which also include Southern California Edison and San Diego Gas & Electric — are crucial to making the investments needed to meet California’s ambitious climate targets, including the 100 percent clean-energy mandate and a long-term goal of cutting greenhouse-gas emissions by 80 percent below 1990 levels by 2050. Those investments are likely to include more solar and wind farms, large-scale batteries and other energy storage technologies, and electric vehicle chargers. Cavanagh thinks state legislators should change the law so that PG&E and other utilities aren’t held liable for fires sparked by their infrastructure unless they’re found to be negligent. A lot could depend on how the bankruptcy court judge handles the company’s existing solar and wind contracts, with developers watching to see whether the owners of those projects keep getting paid in full. Most new contracts in recent years have actually been signed by local energy providers known as community choice aggregators, which can be formed by city and county governments whose residents are served by an investor-owned utility. The government-run power agencies decide what kind of electricity to buy for their communities and how much to charge, while investor-owned utilities continue to operate the poles and wires. There are 19 aggregators operating in California, including Clean Power Alliance, which will begin serving nearly 1 million homes in Los Angeles and Ventura counties in February. 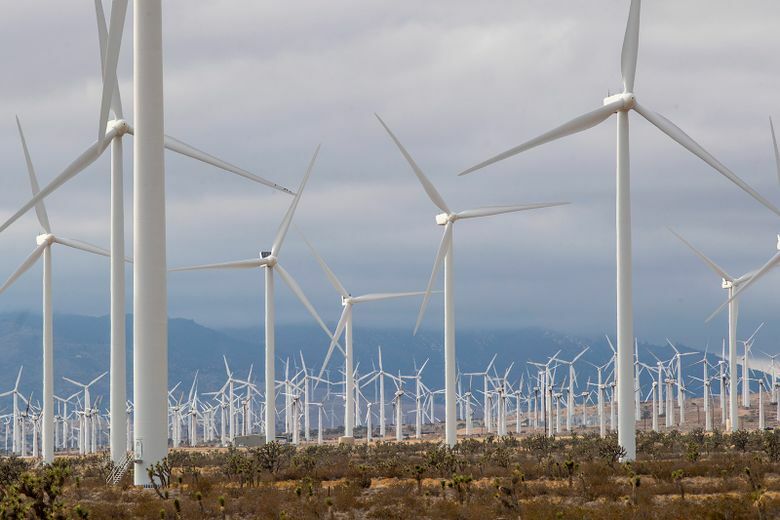 The aggregators have signed long-term contracts for more than 2,000 megawatts of renewable energy, according to the California Community Choice Assn. But the community choice aggregators don’t have the financial wherewithal of the investor-owned utilities, and many of them don’t have credit ratings yet, said Matt Vespa, an attorney at the environmental group Earthjustice. He likes the aggregators but doesn’t think they alone can eliminate planet-warming carbon-dioxide emissions from California’s electric grid. “When you’re talking about the scale of what we need to do to aggressively decarbonize … they’re not in a position to finance that,” Vespa said. California continues to serve as a learning laboratory for misguided and futile climate policies. 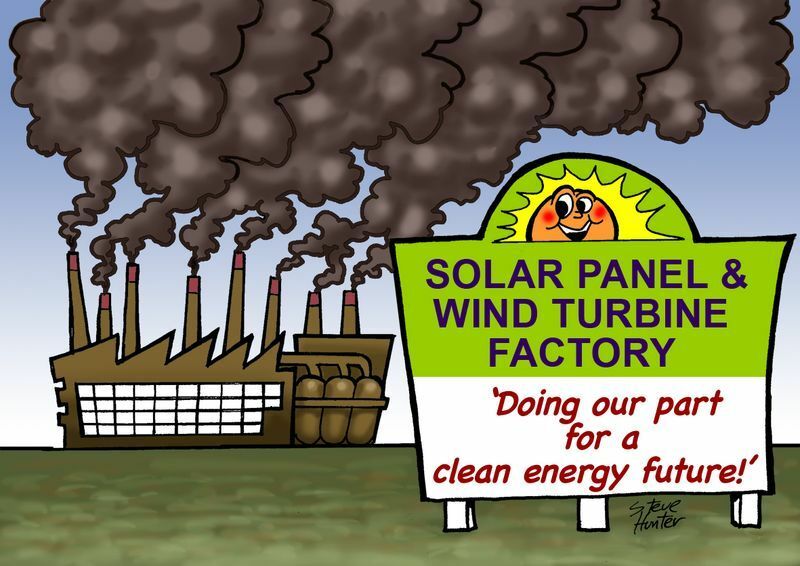 This time the lesson (for those with eyes to see) is to demonstrate that renewable energy programs are parasites who feast on the financial lifeblood of their host utilities until the cash is gone. Madness takes its toll – it’s just a step to the left … your Epstein video sums up the renewable fiasco so nicely..
Pulga means flea. The biggest problem California has to cope with is parasites. Biological parasites need not have brains–and this goes for the human variety as well. It will be interesting to see what happens to the” climate credit” that was scheduled to be distributed to residential electrical PG&E customers this spring. I assume the $39/per billing meter credit previously set aside, from an accounting standpoint that came from cap and trade generation fees, will be halted by the bankruptcy judge. The cap and trade program was extended to natural gas a couple years ago. I think that program was scheduled to provide a $29 climate credit for each PG&E residential natural gas customer this spring as well. The bankruptcy judge is going to have to figure our if the various “community choice aggregators” in PG&E territory are required to give up the cap and trade fund allocations they receive from PG&E as well. Found it in the spam filter don’t know why there. I wonder who’s pocket(s) PG&E’s “climate credits” are going to flow into later this spring. The 39 bucks per billing meter scheduled for distribution to PG&E residential customers this spring could always be set aside to pay a few legal fees. My longer post on the subject seems to have gotten stuck in moderation. Matt Vespa of Eartjustice gets one thing right, he used the full description “carbon-dioxide” in his statement. Just how much change in the “average” planet temperature (up or down) shutting off all of California’s electric grid today would make is probably impossible to measure.